The Lamplighter ~ Dining Rooms015394 43547work015394 43548fax Restaurant with RoomsThe family run Lamplighter Dining Rooms offers the very best in accommodation in the Lake District. We have a total of eleven en-suite bedrooms set in the fabulous surrounds of this traditional Lake district house. All rooms were fully and tastefully refurbished recently and feature filter coffee machines, flat screen televisions and private en-suite bathrooms. We have two room categories namely Premier and Classic. The former are the largest category and feature both bath and shower in the en-suite, a separate seating area and are the larger of the categories. The Classic rooms are then smaller and have shower only in the en-suite. We are just a 2 minute walk from Windermere train station and with private parking on site and free super fast wi-fi access throughout the property, we offer the perfect location from which to explore the beautiful Lake District. In addition we have one of the top bars and restaurant in The Lake District on site with our absolute focus being on quality and customer service, which has set us aside from the masses for over 25 years. 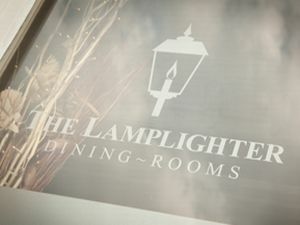 The Lamplighter ~ Dining Rooms sometimes limits bookings to 3 or more days. Children of any age are accepted. Two rooms with King-sized bed. All classic rooms have private bathroom facilities with shower only, refreshment amenities including coffee machines, flat screen TV's, natural daylight, new colour schemes & décor. Classic sometimes limits bookings to 3 or more days. Additional beds can be placed in certain rooms on request. All premier rooms have new private bathroom facilities including shower & bath, separate seating area, refreshment amenities including coffee machines, flat Screen TV's, natural daylight, vanity units with new colour schemes & décor. Premier sometimes limits bookings to 3 or more days. All standard rooms have private bathroom facilities with shower only, refreshment amenities including coffee machines, flat screen TV's, natural daylight, vanity units with new colour schemes & décor. Standard sometimes limits bookings to 3 or more days. The family run Lamplighter Dining Rooms offers the very best in accommodation in the Lake District. We have a total of eleven en-suite bedrooms set in the fabulous surrounds of this traditional Lake district house. All rooms were fully and tastefully refurbished recently and feature filter coffee machines, flat screen televisions and private en-suite bathrooms. Whether popping in for a snack at lunch, indulging in our unique Sunday lunch experience (Recently reviewed by Jay Rayner), or a full four course meal in the evening, The Lamplighter offers a great selection of locally sourced and themed food and drinks. Fishing, shooting, cycle hire, walking and boat hire nearby. From junction 36 of the M6 travel a straight 16 miles along the A591, as you approach the top end of the village you will see The Windermere Hotel on your right hand side. As you descend the hill on the main road there is a left turn adjacent to the hotel, DO NOT take this turning even though it says 'Town Centre'. Go to the next left turn, Elleray Road about 100m along Elleray road ion the left is the entrance to the car park. Our postcode for satellite navigation is LA23 1AF. Turn left out of the train station or from the coach and walk down the road on the left hand side pavement. You will pass the Tourist information centre and a little further on is the Mountain Goat Tour Company office, this is Victoria road. Look to your right and in the centre of the road is The Lakes Hotel, cross over to the hotel and follow the footpath down on the right fork which is High Street. The Lamplighter is located directly on the other side of the road.